Update: Since publication Apple has released iOS 11.3 Beta which gives us our first look at Battery Health within iOS. Apple has officially confirmed what Tim Cook announced in a speech earlier this month. 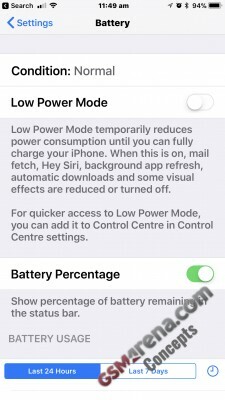 "iOS 11.3 adds new features to show battery health and recommend if a battery needs to be serviced. These can be found in Settings -> Battery and are available for iPhone 6 and later. 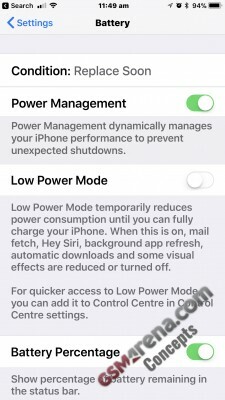 Additionally, users can now see if the power management feature that dynamically manages maximum performance to prevent unexpected shutdowns, first introduced in iOS 10.2.1, is on and can choose to turn it off". Apple is still working on these features, so they didn't make the cut for the first iOS 11.3 beta. Before that, and putting all thoughts of how Apple got to this point aside, we thought we'd have a bit of fun and conceptualize what this feature would look like and highlight some of the challenges Apple is facing. 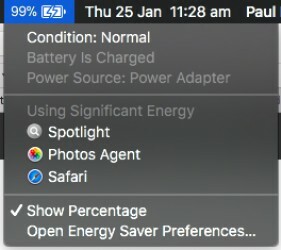 Apple has form in this area as they already provide several ways to see the condition of your laptop battery within macOS. Within System Information, select Power and you’ll see the condition of your battery and Cycle Count. Alternatively, clicking on the battery icon within macOS’s menu bar while pressing the ALT key will also show the battery condition. 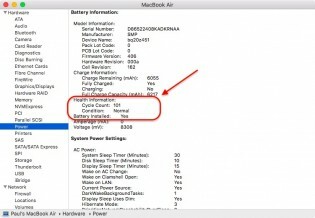 With macOS Apple has four battery states: Normal, Replace Soon, Replace Now and Service Battery. Is it a simple case of Apple 'bubbling' this functionality up in iOS? Even with the close family ties between macOS and iOS, it is not as straightforward as you would think. 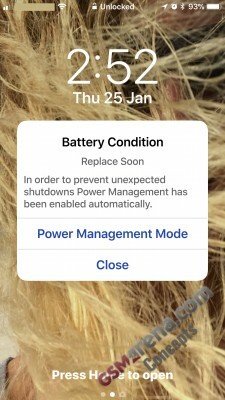 iPhone 8, iPhone 8 Plus and iPhone X are not 'yet' included in the power managment system, so will we be able to see our battery health? Our guess is yes for consistancy. Notice here that we're using the macOS battery health conditions, Apple will undoubtedly use different terminology. In our concept, we give the option to go directly to the Power Management Mode within settings, similar to when Low Power Mode kicks in. Will Apple want to encourage users to do that though? It also makes us wonder what the average user would make of this and Apple's wordsmithing will need to be spot on - otherwise, those of us who act as our parent's support hotline will be inundated with 'what does this mean son?' calls. Here you can toggle on and off the Performance Management Mode. Again, it will be interesting to see the exact wording that Apple will use on this screen to make it clear to users why they shouldn't turn off Performance Management. So there you have it, a couple of fun concepts that give a possible direction that Apple could go in when implementing these features in future beta's of iOS 11.3. Man either could be true else nothing happens or your version but i dont believe anything else apart of that will be true. Thats apple way.